fabric faded, ripped in toe, rubber scuffed and worn. Come be a child again! I might forget the age I’m in. 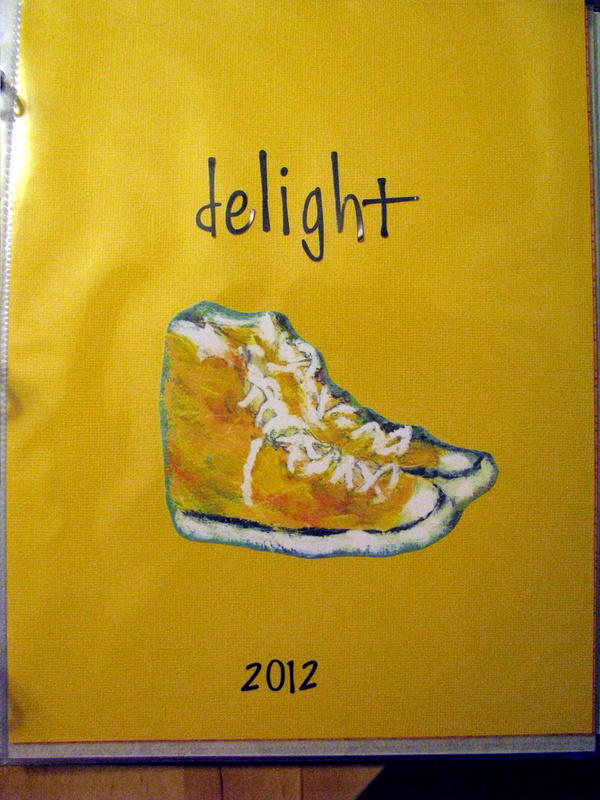 The painting of these yellow sneakers was part of a calendar I had a long time ago and I loved it so I tucked it away, saving it for something. Well now it has become the first page of my OLW notebook for this year and inspired this poem. What a great first entry to have in your notebook. Keeping the picture certainly paid off. I often cut words, phrases and pictures from magazines in the hope they will spark more words, so I identify strongly with your actions. Writers are collectors and optimists. Your poem is proof that it pays off. Wow, wonderful you saved and found the calendar. What other pictures remain–more poems to come? I’m aching to find the inspiration today and still looking. Your post reminds to look more simply with appreciation for the small things–thanks for slowing me down. I love the picture and your poem. The rhythm is just great with a bit of rhyme to wrap it up. You’ve inspired me to look through my pile of saved scraps to see what I might use! This reminds me of Gary Soto’s “Ode to Pablo’s Tennis Shoes.” Thanks for sharing!